In “Domestic Support Obligations in Bankruptcy (Part One),” I discussed the Bankruptcy Code’s definition of a domestic support obligation (we’ll call it a “DSO”). In this post, I’ll address two important bankruptcy considerations regarding DSOs. First, they are non-dischargeable in any chapter of the Bankruptcy Code. Second, DSO enforcement efforts are not subject to the automatic stay. Section 523(a)(5) specifically excepts DSOs from discharge in bankruptcy. The non-dischargeability of DSOs is absolute. Unlike student loans, for example, you cannot demonstrate “undue hardship” or make any other showing that would allow you to discharge your DSO. 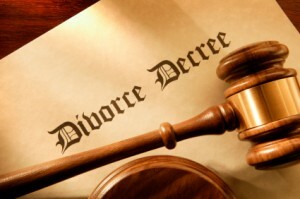 What this means is that to have any hope of altering your child support or alimony, you must do that in Family Court. If your ongoing payments are too high, you must ask the family court judge to lower those payments. If the recipient of the support will agree to a modification, you can enter a consent order lowering the ongoing payments. For example, if you lost your job and your only source of income is unemployment, your former spouse may be sane enough to understand that there is no way you can make child support payments as required by your current order. Support could be modified by consent, then modified again once your income increases. If insanity persists–as is the case in many family law matters–you should immediately file a motion to have your support lowered. Do not delay filing the motion. Most courts will not retroactively modify support. In other words, the date of the modification will not pre-date the filing of your motion to modify support. Likewise with arrearages, any hope you have is with the Family Court. For child support, there are two types of arrearages: first, the obvious type–those owed to the other parent. Second, those owed to the state. As for arrearages owed to the other parent, she can consent to having the arrearages modified. For example, if you got behind on child support, your former wife could agree to forgive those arrearages. Believe it or not, sometimes this happens. If you have some legitimate reason for being behind and have a decent relationship for your former spouse, it certainly can’t hurt to ask. However, the decision is entirely up to the recipient. That means if your former spouse won’t agree to forgive the arrearages, they remain. Absent some extreme circumstances–like fraud–the family court cannot modify arrearages. The second type of arrearages are those owed to the state because the child support recipient was receiving welfare benefits under the Temporary Assistance for Needy Families (“TANF”). (Until 2001, this program was formerly known as Aid to Families with Dependent Children.) Those arrearages are assigned to the state because the state is, in effect, supporting the children while the recipient receives welfare benefits. With state arrearages you must negotiate with a Department of Social Services representative. (Note that the name of the agency which collects child support varies from state to state.) He will have authority to accept a settlement for arrearages owing to the state. State arrearages are much easier to settle than those owing a DSO recipient. In either case just remember this: You’ll accomplish nothing with child support or alimony arrearages in Bankruptcy Court. You must deal with these issues in Family Court. The automatic stay is like a force field of sorts that goes into effect–you guessed it–automatically, but will not to stop state court enforcement of DSO orders. This means that not only will bankruptcy not discharge your child support or alimony obligation, but also that you won’t even get a temporary break from enforcement action. The only action that would be stayed would be state court attempts to take property of the bankruptcy estate to satisfy the DSO. This doesn’t mean much, though. It just means seizure of the debtor’s property to satisfy a DSO is reserved for the bankruptcy trustee. In “Domestic Support Obligations in Bankruptcy (Part Three),” I’ll explain the interplay between property exemptions and DSO arrearages. I’ll also explain the bankruptcy trustee’s obligations to DSO recipients.